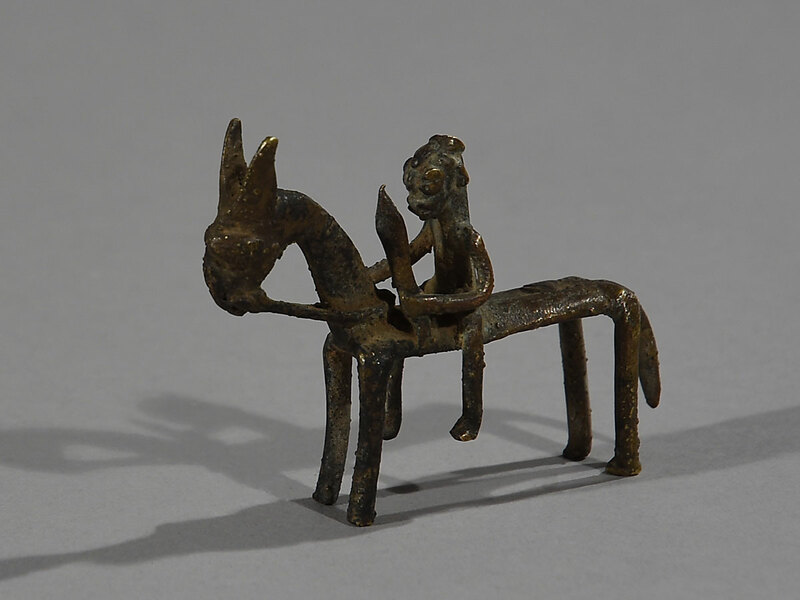 This cast equestrian figure expresses status, prestige and power. 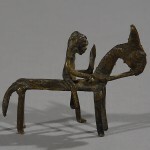 It would bring honor to the ancestors, the current leadership and the owner of the sculpture. 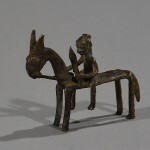 Although rare, horsemen as icon have existed for 1000 years in Mali. 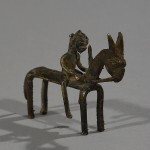 Some would depict a hogon, the supreme officeholder, a semi-divine leader of great wisdom or even a mythological emissary from a distant land. 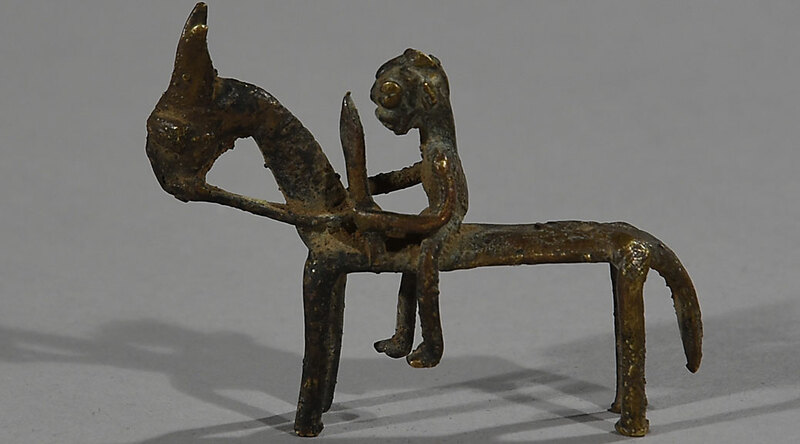 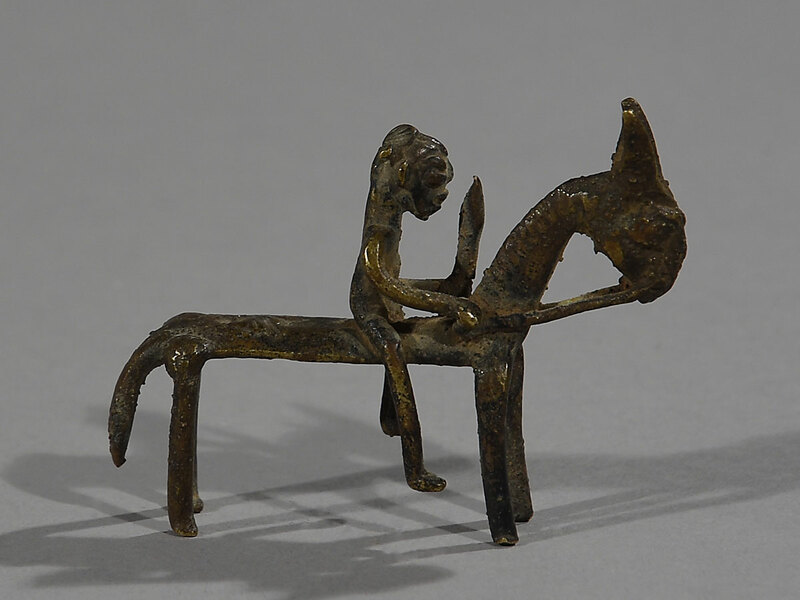 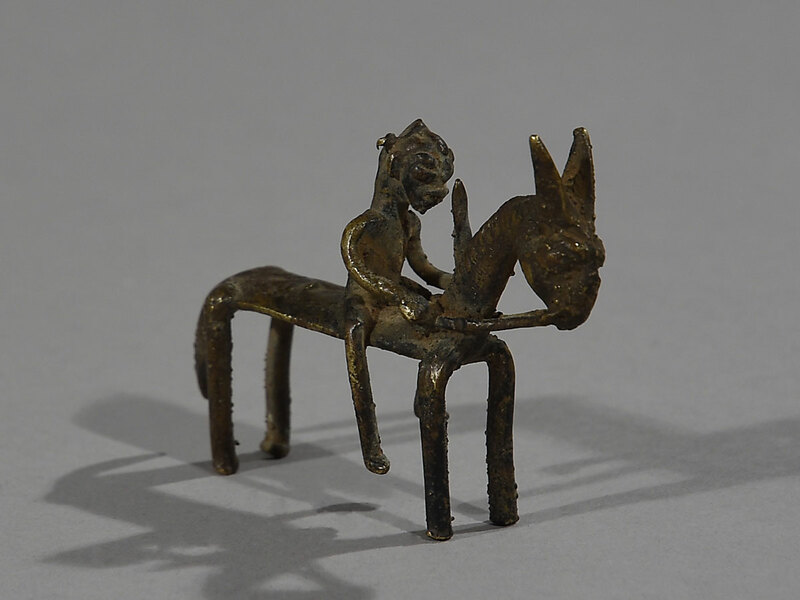 Despite its aged appearance this Dogon rider was probably made to me sold.